China's seemingly insatiable demand for the finest salmon is safe in Scottish hands, and there will always be more than enough whisky with which to wash it down. 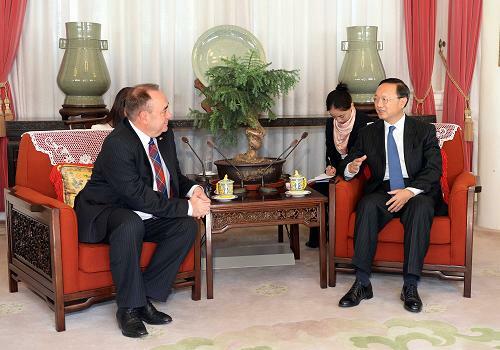 On November 4, 2013, State Councilor Yang Jiechi met at the Zhongnanhai compound with Scotland's First Minister Alex Salmond and his delegation, who were invited to visit China by the Chinese People's Association for Friendship with Foreign Countries. Yang Jiechi introduced the current China-UK relations and said that China attaches importance to developing friendly relations with Scotland and appreciates the Scottish government's constant attention to the cooperation with China. 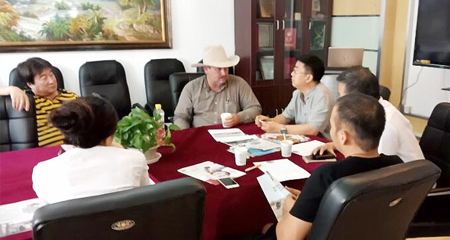 The two sides had a friendly conversation on enhancing economic, cultural, non-governmental exchanges and cooperation between China's municipal or provincial administrations and the Scottish government.